Death by WordPress… no wait, I meant Chocolate! Cooking comes naturally to me. Writing kind of goes with the flow too. Technology on the other hand makes me feel like Santa in a bathing Suit, on a Segue, riding along Wall Street, smack in the middle of winter. Well, if you’re from NYC, you would hardly find that strange but then that’s probably how most of the kids,﻿ born in the 90’s feel about WordPress! I, on the other hand, am getting sleepless nights ﻿and major anxiety attacks, figuring out this “Widgets & tags” business. And like most women in their mid thirties, (or is it all women in general? ), I turn to chocolate when I’m stressed! 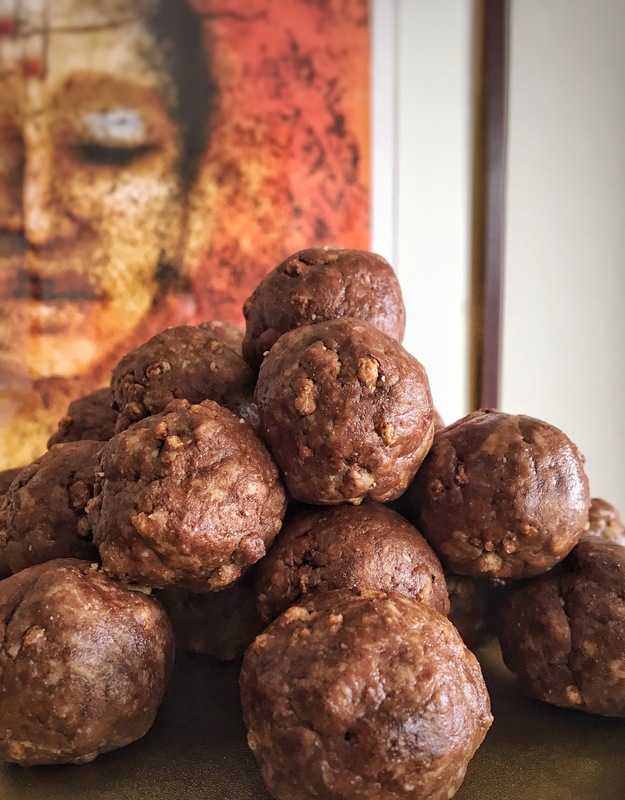 Lucky for me, my skills in the kitchen came to my rescue and I came up with these guilt-free-eat-your-heart-out Chocolate Protein truffle-like bites. I’m still stressed but at least I can eat my chocolate bites without the additional stress of gaining those extra lbs. ﻿Before moving on to the recipe, I’d like to introduce you to my favorite protein supplement. 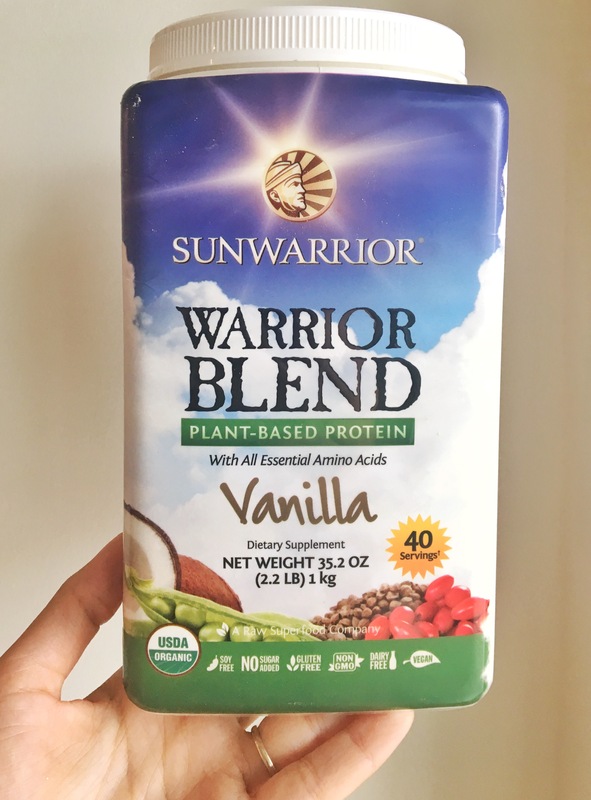 Say hello to Sunwarrior Protein. I’ve tried and tested (and tasted) a decent variety of protein powders but this particular one is the one I keep going back to. And before you ask, Yes. I do have a “why” list! 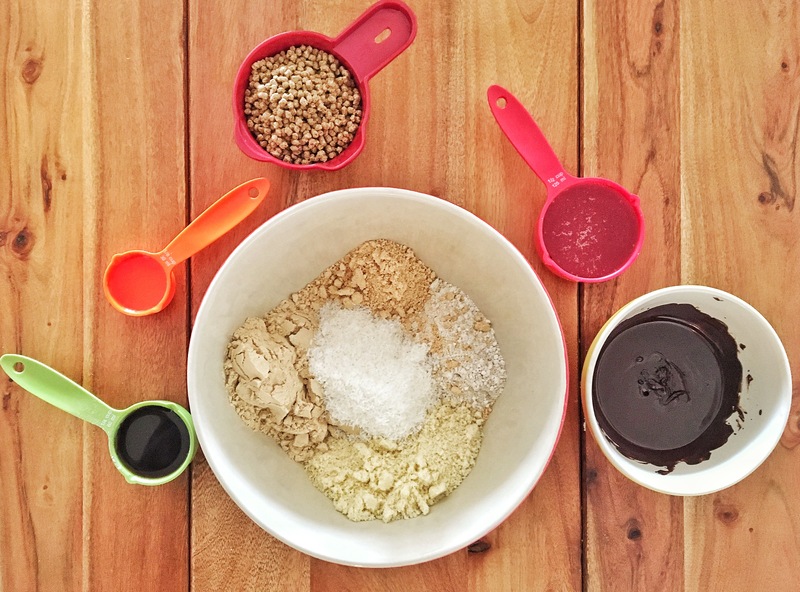 Mix all of the ingredients in a giant bowl. Previous Post Breakfast Like a Queen! Next Post Confessions of an “amateur”﻿ mom!